Vous êtes ici : Accueil / A7IK / >> A7ik envahit les Coffee Clubs en Belgique! >> A7ik envahit les Coffee Clubs en Belgique! 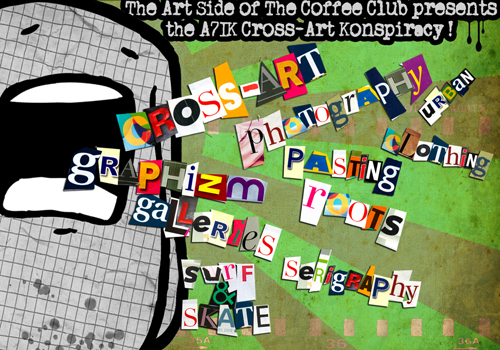 The Art Side of The Coffee Club and A7ik Cross-Art Collective are proud to present you some art exhibitions in all The Coffee Clubs in Belgium! = Love for Urban Art!